THE SITE TECHRIGHTS has long been a fan of patent quality. We’re not against patents; instead, we’d rather defend the integrity of patent law by ensuring that patents are only ever granted when it’s justified (for practical, economic and scientific reasons). Publication is often better than secrecy (trade secrets), so patents are a form of incentive to publish closely-guarded secrets. We’re OK with that. António Campinos with his promotion of software patents in Europe is a stain on the European Patent Office’s (EPO) reputation or what’s left of its reputation. 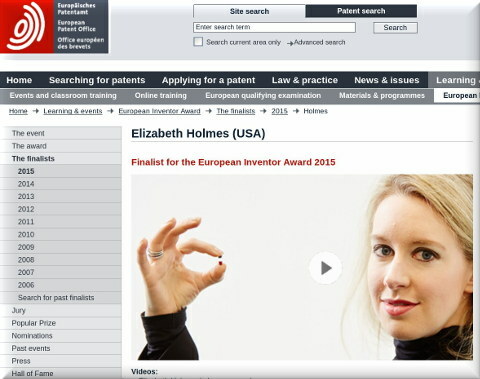 As we've just noted, even the US rapidly moved away from such patents over the past few years. It realised, owing to high courts, that patents must not cover natural phenomena and mathematics. Shouldn’t that be trivial? Nature is not an invention; neither are laws of nature. They were never invented, merely explained. “They’re a radical bunch, incapable of grasping just how crazy they are because they surround themselves with other equally crazy people in events that are ‘echo chambers’ (no sceptics are allowed to even speak). It’s like a religion.”Patent maximalists will never have “enough” patents; for them (or to their business), the more the merrier! It’s totally insane. They’re a radical bunch, incapable of grasping just how crazy they are because they surround themselves with other equally crazy people in events that are ‘echo chambers’ (no sceptics are allowed to even speak). It’s like a religion. Bigger than a cult and better financed/coordinated than most cults. Check out the headline; Liz Cohen writes an article titled Liz Cohen about an article by Liz Cohen. They’ve found their “God” in Bristows. God complex much? The verge of insanity? “These people completely distort facts and recklessly spread lies.”It’s worth noting that Bristows staff at IP Kat no longer even mentions the UPC. It’s rather revealing. Maybe they got tired of comments that slam them for lying about the UPC. In fact, readers of the site are still (as recently as Friday) calling out CIPA for the PEB scam that IP Kat was promoting. CIPA is of course a major part of the Team UPC lobby, mostly but not only in the UK (where IP Kat is based). Not too long ago the chief of CIPA was editing IP Kat while meeting with Battistelli, which partly helps explain the ‘death’ of “Merpel” (i.e. of coverage about EPO abuses). This CIPA/PEB scandal has already attracted about (maybe over) 200 comments in the past month alone; we’ve lost count because the comments are scattered or clustered around a few separate threads, having caused a major stir. The patent microcosm is now fighting even within itself, so get some popcorn and enjoy the show. We’ve noticed that some people in this profession sincerely pursue sanity (reasonable patent scope), whereas others are “true believers” in patent maximalism. Team UPC, for example, often gets slammed by more moderate voices, whom we appreciate. Not every patent attorney is as radical as the Watchtroll bunch or IAM bunch* and we’ve in fact noticed some ‘good cops’ in Kluwer Patent Blog (Bausch comes to mind). Problems can also occur if a lack of plausibility is raised in cases where the specification filed lacks data demonstrating that a technical effect is plausibly solved. In such scenarios, the patentee can find themselves in a squeeze: relying on prior art or common general knowledge to demonstrate plausibility at the date of filing with the risk of the EPO finding a lack of inventive step based on the same prior art or common general knowledge. However, reference to prior art or common general knowledge in support of plausibility may not necessarily lead to a lack of inventive step objection. This is because plausibility is a threshold test which is not assessed in the same manner as whether an invention is considered obvious to try with a reasonable expectation of success. On the other hand if there is no prior art or common general knowledge to establish plausibility, the technical effect may not be considered to be plausibly solved. It is therefore advisable when considering a patent filing strategy to provide as much information as possible with respect to technical advantages of the invention, which includes any experimental data at the date of filing. In the absence of adequate experimental results, additional effort should be put into the construction of a robust technical explanation for the purported technical effect which overcomes the plausibility threshold, thereby enabling the patentee to later rely on post-published evidence to demonstrate sufficiency. * The latest from IAM policy lobbying (“blog”) says that “EPO presidency seems determined to exclude plants produced by biological processes from patent protection.” IAM calls this a “controversial” move and says the “intervention is unlikely to succeed,” which is unsurprising. It’s only controversial among the patent maximalists who fund IAM and the reason the intervention will likely be ineffective is that the appeal boards lack independence.